SeaQuest also does a pretty nice seafood medley package that includes pieces of shrimp, squid, mussels and, I think, scallops. 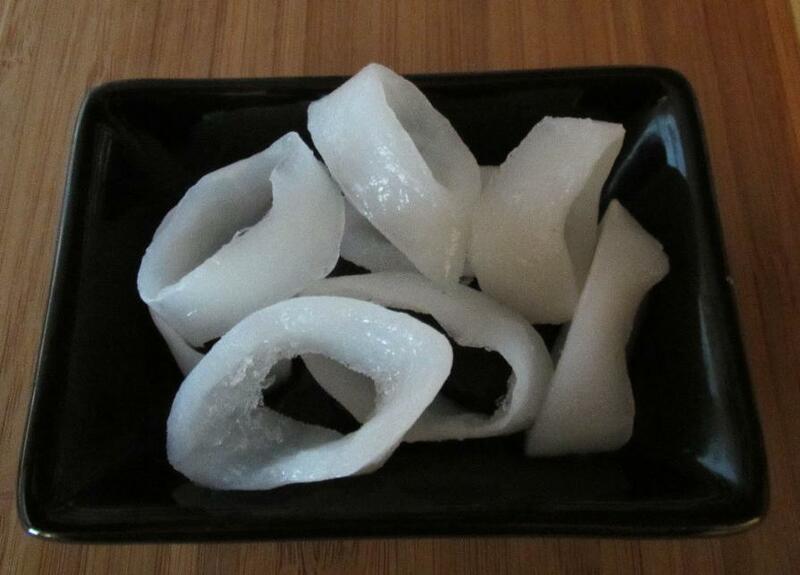 I have not seen any whole squid products from this company… so far, these frozen rings are all I have purchased. The rings in the bag are, for the most part, quite small. They are of fairly decent thickness, though, which suggests to me that the company does not merely use very small squid, but that, for this product, they confine themselves to using the portion of the body nearest the tail. Possibly the rest of the squid is packaged separately in a different product. Personally, I much prefer to buy squid fresh and whole. There is a convenience to buying squid prepared like those in this package, but I find that once squid had had the speckled membrane removed and gets chopped up it begins to lose flavor. This is, sadly, a process that is not much helped by freezing. I tasted the raw squid from this bag, both still frozen, and once thawed, and I have to say that my general view remains unchanged by the result. The best raw squid I ever ate was a squid sashimi served at a tiny Japanese restaurant in Banff, Alberta about four years ago. I have tried to find the same restaurant on the Internet but I don’t remember the name and did not recognize it any current Banff listings. Anyway, the sashimi on that occasion was so sweet and delicate that it was comparable to the best of the freshest raw oysters. My taste experience with this package was, perhaps not unexpectedly, pale by comparison. While still frozen, the rings had very little taste at all. It was still possible to discern that one was eating something vaguely marine in nature, but that was about the extent of the experience. 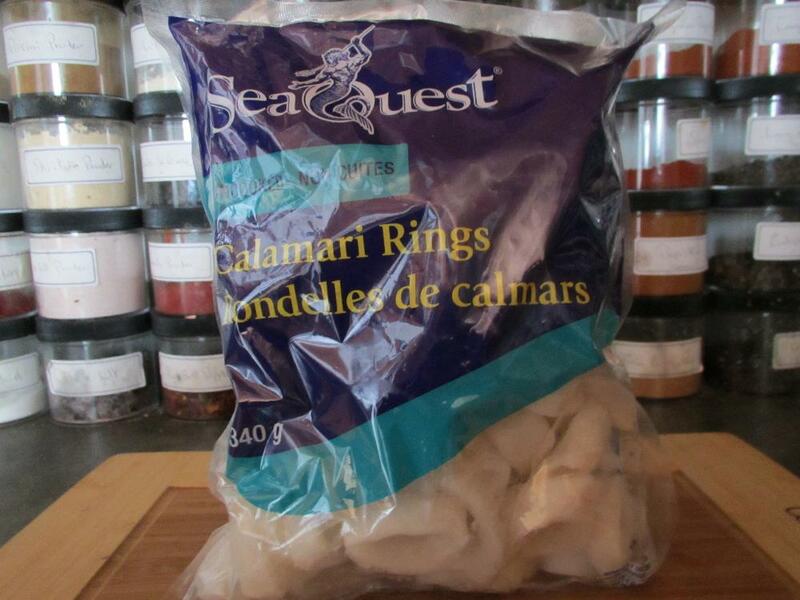 Once thawed, the rings were much tastier but still a bit watery. It was clear to me that I was eating squid this time but there was no sweetness or any hints of the sea that one gets from oysters in particular. I have no doubt that this product is quite suitable for cooked dishes but it really is not sashimi quality squid. Hi there, Melissa here from Food Bloggers of Canada. Just popping by to check out your blog and to let you know we’ve added you to our Membership Directory. Welcome aboard! We’re so excited to have our very first member from the north – I’m sure you’ll have a pretty unique perspective on food and food blogging!